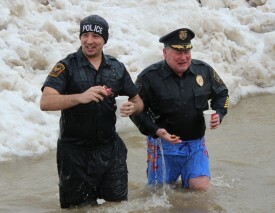 Quincy Chief of Police Robert Copley has participated in the Quincy Polar Plunge since its inception in 2004. Since then, Copley has participated in 12 Plunges and two SUPER Plunges into Lake Michigan where participants jump into the lake 24 times in 24 hours. Copley originally took the Plunge when retired Sgt. John Douglas worked with Special Olympics to establish the first Quincy Plunge. Members of the Quincy Police Department have plunged ever since. His Plunge team number varies from year to year depending on who is scheduled to work on Plunge day. The team is fortunate to have some of the officer’s children who like to plunge with them. Students who recently completed the D.A.R.E. program at a parochial school gather a team to participate in the Plunge with the officers. Older students involved in the Builder’s Club, a service club, also plunge with the officers. Copley and his officers set up online fundraising pages and use social media to promote the event. Copley says that some officers donate to their peers because they are working the day of the Plunge or want to give money to the Plunge but don’t like the thought of plunging. 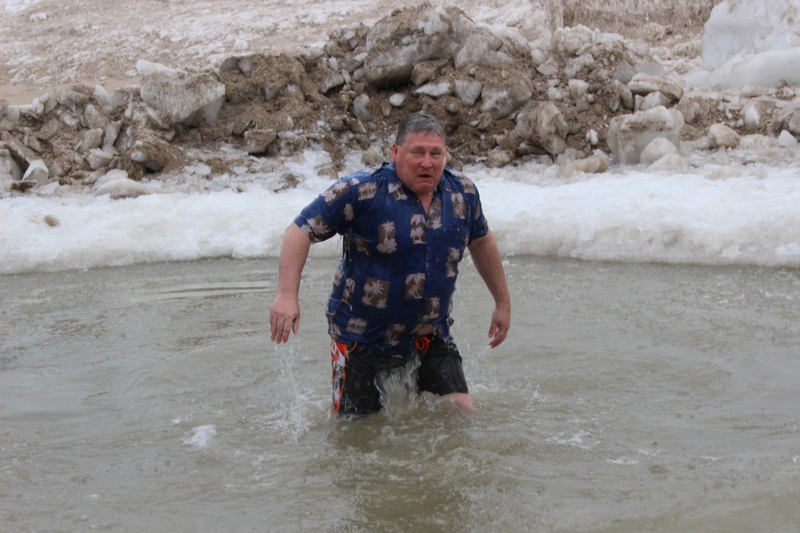 One year, retired Deputy Chief Ron Dryer said he would plunge if the officers raised a certain amount; the officers surpassed the goal and Dryer plunged. Besides regularly plunging in Quincy, Copley has completed two SUPER Plunges to kick off the Plunge season. He decided to complete the SUPER plunge when his friend and Illinois Torch Run Director Eric Smith told Copley it was “a very rewarding experience.” Copley agrees that the SUPER Plunge is a great event that builds a sense of camaraderie among participants. To fundraise for the SUPER Plunge, Copley uses word of mouth, letters to family and businesses, email, and social media. This year, he also plans to make use of the Quincy Police Department’s Facebook page. The Quincy Police Department team will be plunging again this year at 12:15 p.m. Saturday, Feb. 27, at Moorman Lake in Upper Moorman Park. 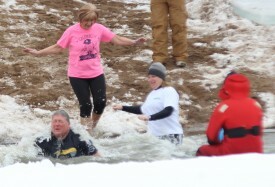 If you’re interested in joining Chief Copley at the Quincy Plunge or want to plunge at any of Illinois’ 2016 locations, visit plungeillinois.com.